A good sign for Royal Challenger Banglore as legendary cricket batsmen Virat Kohli and Ab de Villiers both are back in their natural form. It was their 9th 100+ stand in IPL. 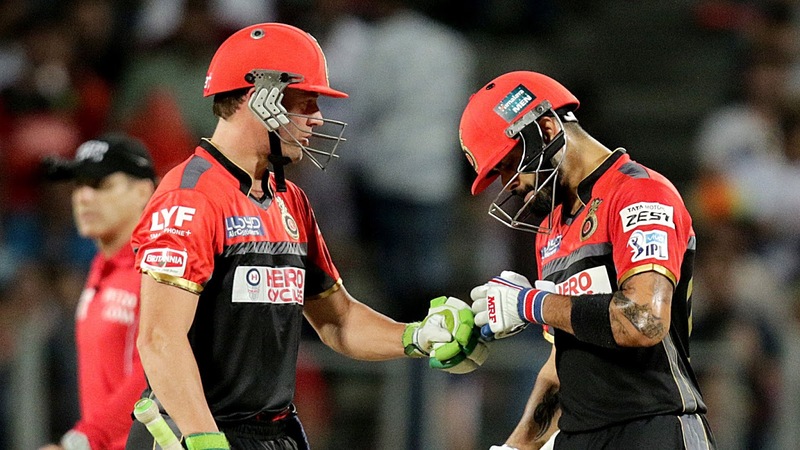 Virat played pure classy cricket strokes whereas AB played his traditional game. Virat scored 84 off 49 balls. There was a chance that he might score his 5th IPL ton but unfortunately, he was caught and bowl of Kuldeep Yadav in the 18th over. That was an extraordinary catch, yes one of the best catch of IPL cricket by Kuldeep as the ball was traveling fast and straight. Ab de Villiers scored 63 off 32 balls including 5 fours and 4 sixes. Royal Challenger Banglore finished on 205/3 in their 20 overs. This was the first time they have crossed 200 in this IPL. Banglore has lost their 4 matches in a row this season. It is not the issue that RCB has lost, they always have the strongest and perfect team to win the title but they have never been able to win the title, not even a single. 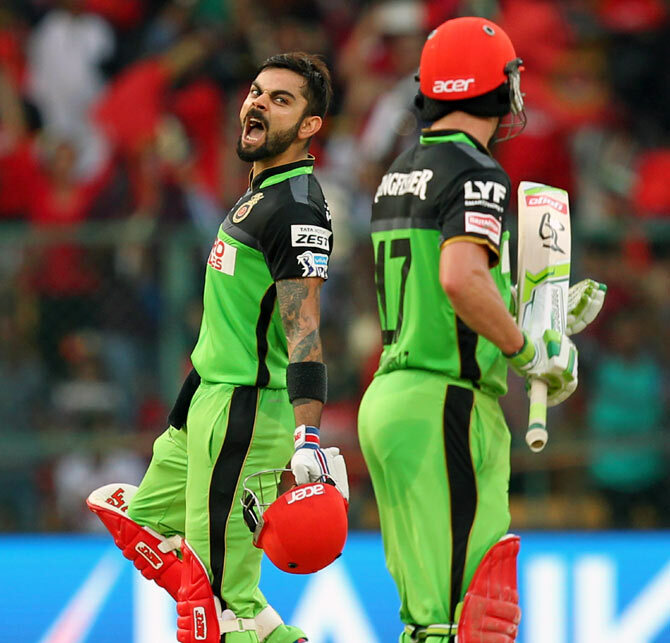 Season 2016 was an ideal cricket season for RCB, Kohli, and Ab de Villiers. That was their golden chance which they had missed and lost to Sunrisers Hyderabad in the final of IPL 2016. In that particular season, Kohli scored 4 IPL hundred and was the first batsman to score 950+ runs in 14 T20 innings. Honestly, I still find it hard for RCB to win the title this season as they mostly rely on one or two players like Kohli and de Villiers in batting and Yuzvender Chahal in bowling. To win the trophy they need teamwork and not individual performances. If they win their 5th match tonight against KKR they will be well set to finish in the playoffs. Can RCB lift the trophy? Soon this question will be answered.